Rifle season in Kentucky has just concluded and the rut is winding down. The deer have been pressured heavily and the deer will be shifting patterns. How should we as hunters adjust? Take a listen here to get our thoughts. Enjoy! It is not over if you have taken your buck yet! While the peak of the rut is over bucks that left there home range are returning and scrape lines are still being followed just not as regular. While I have taken my KY buck I still have cameras out watching and pics of bucks I have not seeen in weeks. The 6-8 month old does are coming in for the first time and have have seen bucks both pushing them and chasing this week. I have personally taken a 140’s and a 150’s class I Dec. The Drury Bros several years ago got it right when they said when it’s warm hunt green and when it’s cold hunt grain. You are correct in that the rut isn’t over. This past week I’ve received several reports of bucks rutting. I pulled the trail cameras that I’d put out last weekend and saw lots of rutting activity throughout the week. 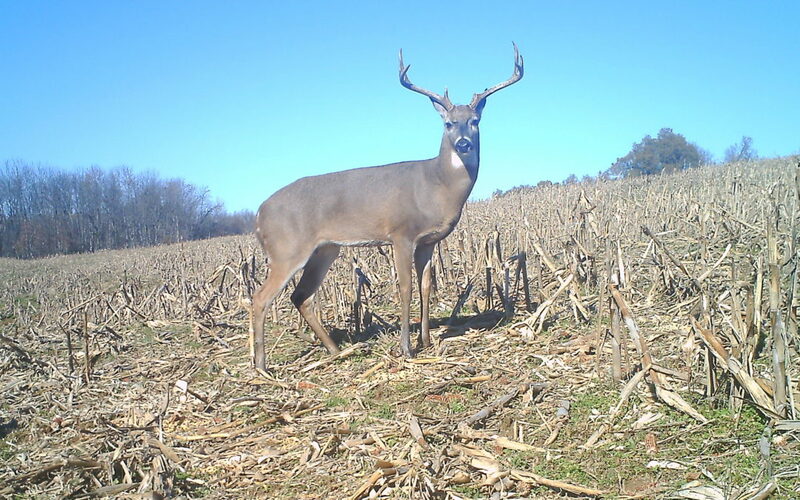 Still great opportunities to harvest a NICE buck in the coming weeks!